On Friday, US Attorney General Jeff Sessions asked for the resignation of 46 United States attorneys. These attorneys are holdovers from the Obama administration. It should be noted that this course of action is not new to politics, past Presidents have asked attorneys from the previous administration to step down as it is a politically appointed position. However in this instance, the firings came unexpectedly and completely out of nowhere, targeting people who were previously told they would be allowed to hang on to their positions. Out of the 46 who were asked to resign, two had their resignations turned down by President Trump: Rod Rosenstein, Baltimore’s top prosecutor, and Dana Boente, top prosecutor in the eastern district of Virginia and now acting deputy attorney general. Mr. Boente was personally appointed by Trump to his position of deputy attorney general. 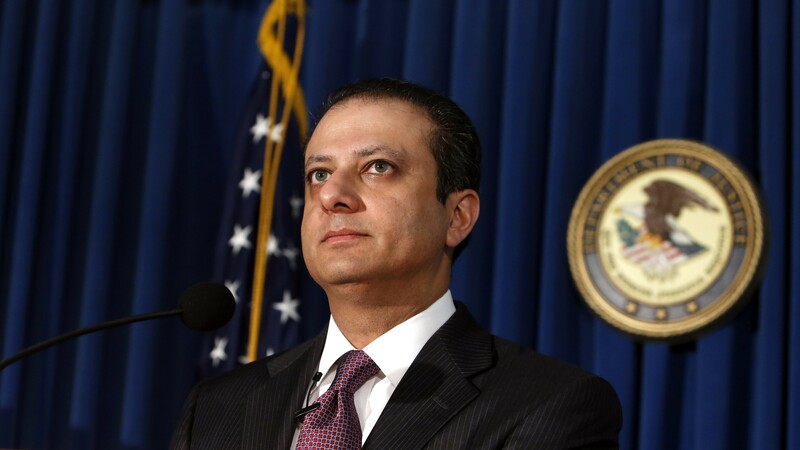 Preet Bharara, United States attorney in Manhattan, refused to resign from his position. Mr Bharara is well known for targeting corruption in New York City politics, going after both Republicans and Democrats. His firing comes as a major surprise, as Mr. Bharara met with then president-elect Trump, as well as Jeff Sessions, personally in Trump Tower, where it is reported that Mr. Trump insisted that Mr. Bharara would be allowed to keep his position. Mr. Bharara refused to stand down after receiving a request for resignation. This prompted Attorney General Jeff Sessions to fire him from his position. Despite an aversion to politics, Mr. Bharara is apparently eyeing a run for office. 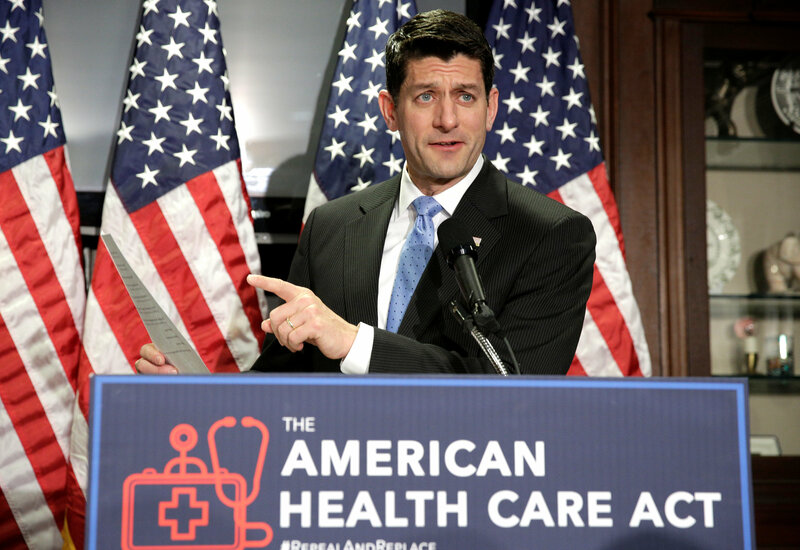 The Congressional Budget Office released some of its initial findings of the American Health Care Act, the Republican’s plan to replace and repeal Obamacare. The CBO, a nonpartisan committee, estimates that roughly 24 million Americans will lose their healthcare coverage over the next decade. A White House analysis of the GOP’s plan, from the Office of Management and Budget, predicted even steeper losses at around 26 million people. In addition, the White House analysis found that under the GOP’s plan, the coverage losses would include 17 million for Medicaid, 6 million in the individual market, and 3 million in employer-based plans, coming to a total of 54 million people who will be uninsured in 2026. This number is twice the prediction under the current law. The White House was quick to backtrack on those numbers saying that it was “not an analysis of the bill in any way whatsoever” but it just was “the OMB trying to project what the CBO’s score will be using CBO’s methodology.” Many Republicans have been trying to lessen the significance of the CBO projection by making comparisons to its estimates for the enrollment numbers for the Affordable Care Act, which were ultimately twice the amount that actually gained coverage by 2016. Despite this, the GOP plan is predicted to hurt the groups who overwhelmingly supported Trump during the election, including the poorer working class and the elderly, the most. More than a week after President Trump’s allegations that the Obama administration had wiretapped Trump, officials from the administration have attempted to clarify and walk back on his comments. Kellyanne Conway, in multiple interviews, said that President Trump was not just referring to traditional phone wiretapping, but other forms of surveillance. She continued to muddle Trump’s statements in each interview she gave. 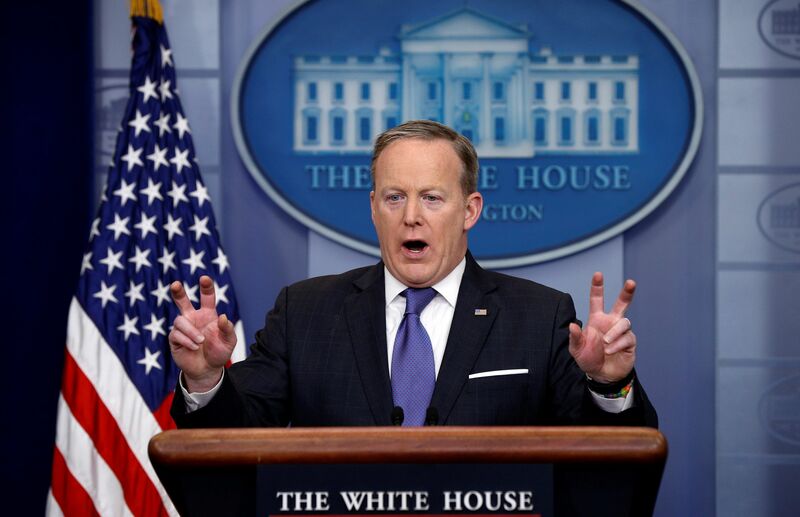 Further, Press Secretary Sean Spicer attempted to clarify Trump’s statement, saying that Trump meant wiretapping to be not be read literally, as Trump in his tweet had quotation marks surrounding wiretapping. Spicer put up air-quotes when he said wiretapping to prove his point. Spicer said that Trump was referring to a general surveillance employed by the White House on the Trump campaign. Despite requests from the House Intelligence Committees and Senate Judiciary Committees, neither the Trump administration nor the Department of Justice has offered up any proof of these accusations. The House Intelligence Committee has given the Department of Justice until March 20th to offer proof; however, the DOJ has requested more time. Many officials, including Spicer, remain confident that the DOJ will be able to provide proof. 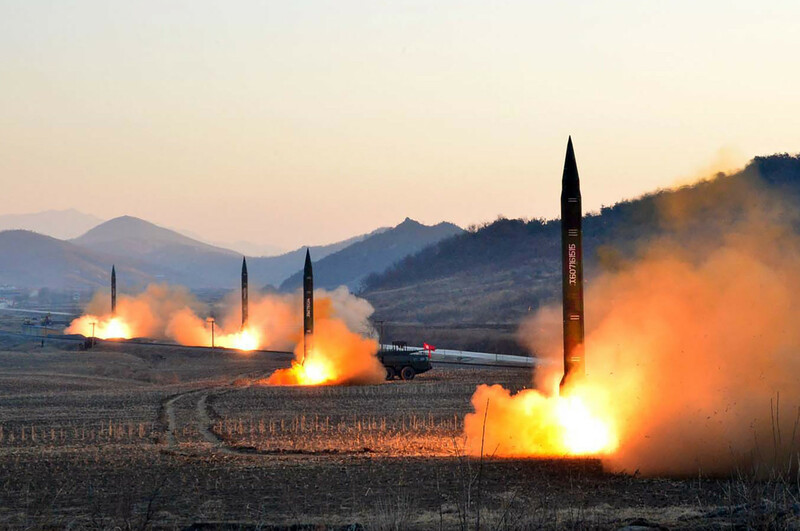 Some developments have occurred since last week, when North Korea fired 4 missiles into the Japanese ocean. These missiles are believed to be a response to the annual US-South Korea military exercise that is currently happening. A couple hours after the missiles fired, North Korea began to disallow Malaysians from leaving the country. The United States has sent an advanced US anti-missile system to South Korea in response to North Korea’s aggression. This action has not only provoked North Korea, but China as well. In a statement, a spokesperson from China warned of a new arms race that was beginning in the region, pointing to the US-anti missile system as a dangerous sign. Recently, the United States deployed the USS Carl Vinson, a carrier ship, to take part in the training tests. North Korea, in a statement, said that this ship is part of a planned attack against the country. Further, the country said that if the ship “infringes on the DPRK’s sovereignty and dignity”, it will began attacking with “merciless ultra-precision strikes from ground, air, sea and underwater”.